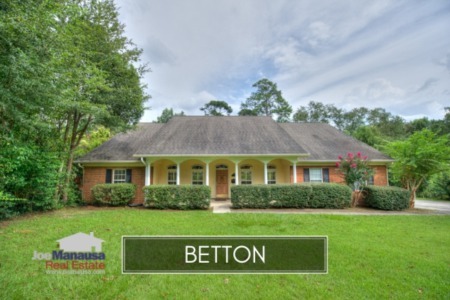 If you are seeking the ultimate in "location, location, location," then you likely will take a long look at the Betton Area. The popular Northeast Tallahassee neighborhoods are located inside of I-10 and along Thomasville Road just north of midtown, and comprise the heart of the 32308 zip code. The Betton area (Betton Hills, Betton Hill, Betton Woods, Betton Estates, Betton Place and Betton Oaks) has been highly popular with homebuyers for the past 80 years, and I suspect the next 80 will be no different. We have compiled average home prices, home values, and home size trends in Betton, and we include all current Betton area listings in the Tallahassee MLS and all closed home sales going back to 1991. It is important to note that the narrative contained below is for sales through December for all previous years, but the graphs and the closed sales table will be continuously updated into the future (meaning bookmark this page if you always want to know the current status of homes in any of the Betton neighborhoods). Betton area home prices actually fell slightly in 2015 after seeing a large spike in 2014. Home sales closed the year with an overall average home sales price of$299,391. Home sales activity in the Betton area fell slightly in 2015, breaking a run of 6 consecutive years which saw the number of closed home sales rise. The 46 closed home sales in 2015 was 15% than what was recorded in the prior year. Unlike home prices, average home values in the Betton area remained the same. Home values are up almost 11% since the Betton hit a market bottom in 2010, and down 20% from the peak of the market recorded in 2008. The average value of a home sold in the Betton area last year was $125 per square foot. The average home size sold in Betton typically falls in a range of 2,000 to 2,300 square feet, but the past two years have seen buyers grabbing the bigger homes. 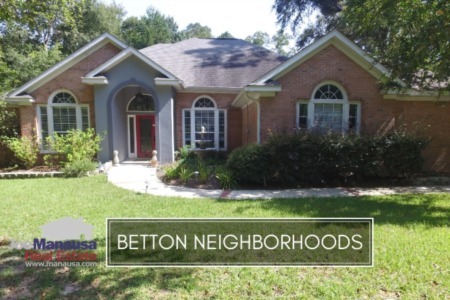 Currently, the average size of a home sold in a Betton community is 2,369 square feet. The following list shows home sales in the Betton area going back to 1991. I hope you enjoyed our January 2016 update on home sales in the Betton area, please feel free to contact me through the JMRE office if you have questions not covered in this report.